Transitions between seasons can make for some beautiful imagery. It's mid April on Sprague Lake but the seasons are still in flux between winter and spring. Parts of Sprague Lake are thawing, but cold nights and recent snows have caused much of the open water to freeze over again. 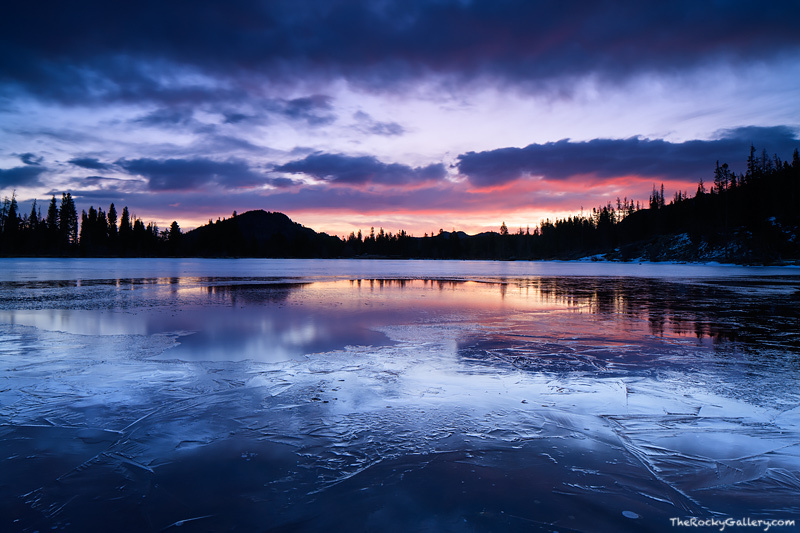 This newly frozen surface of Sprague Lake reflects dawns blue light as a a hint of red lights the clouds over Rocky Mountain National Park in a hint of things to come as the sun rises. Photo © copyright by Thomas Mangan.